Intel won't be the only company gearing up to sell super-fast SSDs based on the new 3D Xpoint storage and memory technology; other storage companies will also offer them with technology provided by Micron. Micron detailed its 3DXpoint plans Tuesday at the Flash Memory Summit conference in Santa Clara, California. Intel and Micron are taking divergent paths to bring 3D Xpoint to customers. Intel will sell its own 3D Xpoint SSDs and memory DIMMs, while Micron is partnering with well-established storage companies to sell 3D Xpoint SSDs. SSDs and DRAM will run much faster with 3D Xpoint, which essentially unifies storage and memory. Intel claims 3D Xpoint will be 10 times denser than DRAM, and it has shown the technology being 10 times faster than current SSDs. 3D Xpoint was jointly developed by Micron and Intel. Intel is already shipping 3D Xpoint SSDs to testers, and its first drives will be available for high-end desktops by the end of the year. Micron is initially targeting its 3D Xpoint technology at enterprise SSDs because of a big demand for blistering fast storage in data centers, said Jon Carter, vice president of storage emerging memory at Micron. Micron has no plan to sell direct to customers and prefers to go through well-established partners with a presence in the storage market, Carter said. The first storage partner will be announced in the next three to four months, and products will hit the market in mid- to late 2017, Carter said. Micron-based 3D Xpoint SSDs will carry QuantX co-branding. That's one way to differentiate Micron's 3D Xpoint products from Intel products, which will be branded Optane. Initially, Micron is looking at 200GB to 1.4TB SSDs that could be plugged into PCI-Express slots. The company will follow with more compact m.2 slot storage products. A 3D Xpoint SSD based on Micron technology is being shown at the Flash Memory Summit. The drives will deliver significant performance improvements and will be installed in flash arrays and servers, Carter said. 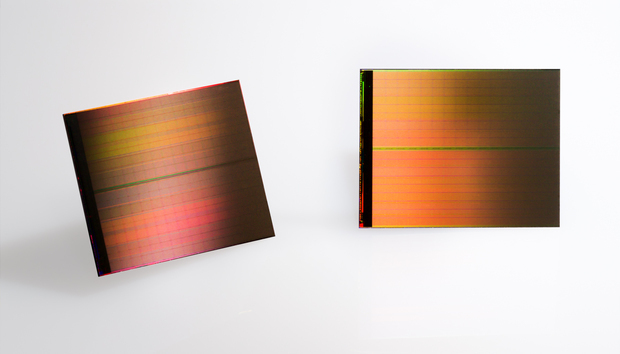 There will be a premium price on SSDs with Micron's 3D Xpoint. Micron, for now, isn't interested in going after the consumer market, which Intel is targeting, Carter said. "I don't see money in the client market," Carter said. Applications such as analytics and databases will get a significant boost with QuantX, Carter said. Companies in industries such as media and entertainment and oil and gas will be target customers for the QuantX drives. Intel and Micron may be competitors, but have had a fantastic development partnership and will continue to work together to bring down the manufacturing cost and scale the 3D Xpoint technology, Carter said. Intel's involvement will also help prepare servers and arrays in data centers for 3D Xpoint, which Micron's partners will also do, Carter said.